Trip Log – Day 315 – Marshall MO to Cameron, MO | How Will We Live Tomorrow? I woke before dawn, excited for the ride; stretched, breakfasted, and was on the road by seven. I always enjoy riding in the morning. 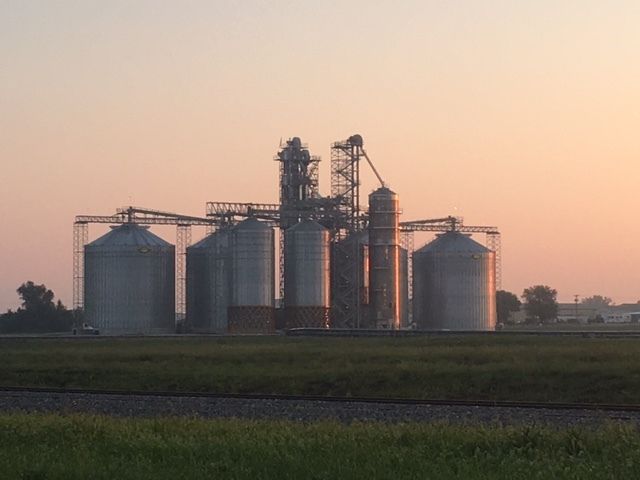 The horizontal light highlighted the galvanized silos and skittered off the corn tassels. I got good miles behind me before the heat set in; the breeze gentle as the contours of the land. 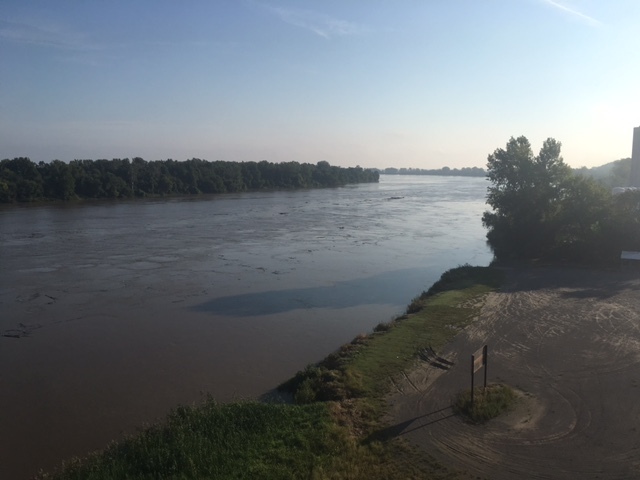 I rode the shoulder of US 65 north, across the Missouri River to Carrollton, then thirty miles west on Missouri 10, which follows the crease between the flood plain and the foothills. I logged fifty-nine miles and reached Richmond before noon: a new personal best. What gave me such motivation? Yesterday I received an email titled, ‘I See You are in Missouri’ from a college friend. Bill made his fortune in technology and finance and retired at age thirty-nine. I saw him three years ago at his spacious house in North Jersey with his wife and youngest child, who was following in his three older siblings’ footsteps in applying to elite colleges. We had a good visit, but I didn’t contact Bill on this journey because I bypassed North Jersey. Turns out that while I pedaled fate threw Bill a curveball. An old childhood flame from his youth in Lima, Peru contacted him on Facebook. The two reconnected. In April, Bill left his wife and affluent New Jersey for a farm in Cameron, MO. Wouldn’t you wake before dawn and pedal 91 miles out of your way to get the skinny on that? 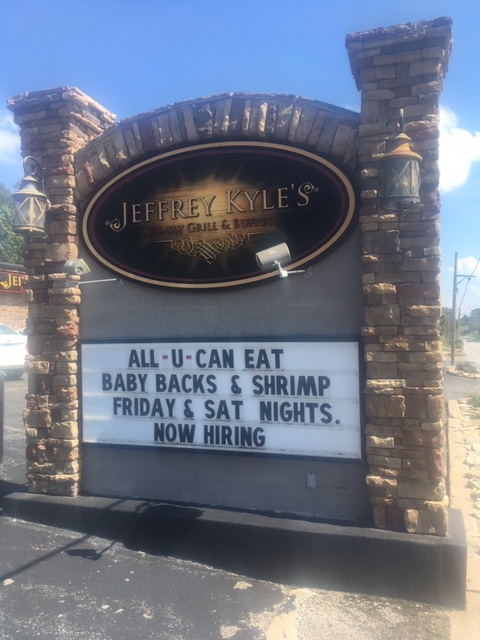 I was famished when I arrived at Jeffrey Kyle’s, a terrific family-owned buffet and restaurant for lunch. Next time you are in Richmond, eat there. Bill and Jan’s farm is off a dirt road that Google cannot find. I headed north on Missouri 13 without a clear destination, texted Bill from Casey’s General Store in Polo, and hung around for direction. So much buzz in a small town convenience store. 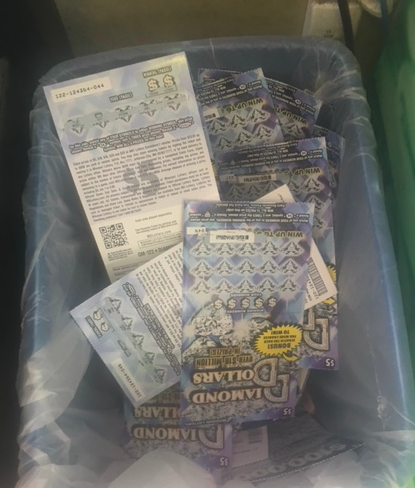 One man scratched dozens and dozens of lottery tickets without any sense of joy. A queue formed at the ATM, People bought a steady stream of cigarettes and pop and beer. Four people worked the joint, always busy. Bill messaged me to ride west on Highway 116 where he and Jan picked me up at a truck stop along I-35. They toted Tom and me to their patch of South America via Missouri, where they raise Alpaca and thrive on their renewed connection. This entry was posted in Bicycle Trip Log and tagged Cameron MO, Jeffrey Kyles, Richmond MO. Bookmark the permalink.